[www.inewsguyana.com] – A five-company team of Canadian Importers and Distributors of fresh and processed agro-foods are due in Guyana on May 11 for a four-day Buyers Mission organised and funded by the Trade Facilitation Office of Canada (TFO Canada) with funding provided by the Department of Foreign Affairs, Trade and Development (DFATD), formerly CIDA. 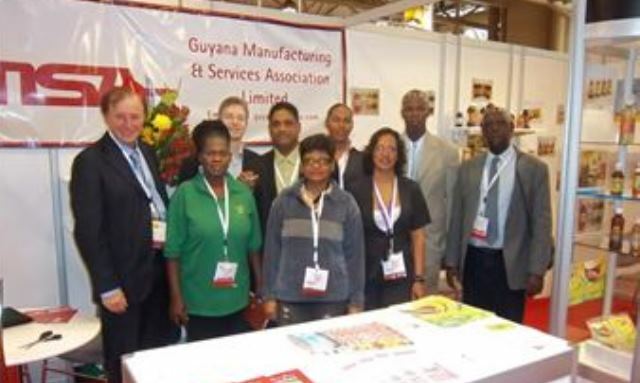 The Guyana Manufacturing & Services Association (GMSA) will facilitate the buyers interested in agro-processed foods while the local arm of the Inter-American Institute for Cooperation on Agriculture (IICA) is coordinating activities for local growers. Ten Guyanese producers including the Kuru Kururu Growers Cooperative Association have been participating in this project that began in 2012. The agro-processors include Tandy’s Manufacturing, Prestige Bottling Enterprise, and Jet’s Enterprise in Demerara, Original Juices, Henvil Farms, Pomeroon Oil Mills and Ramotar Investments in the Essequibo. Sterling Products, Mohan’s Fruits & Vegetables, and Nand Persaud Company in Berbice are also participating in the Mission. Since the inception of this leg of the TFO Canada Trade-related Capacity Building Project, local growers and agri-food manufacturers have benefited from several interventions by Canadian agriculture and quality standards Advisers. The most recent visits were conducted in August 2013 and January 2014. During the process, the operations in each producer’s facilities were subjected to rigorous examinations and the owners received direct technical assistance, all with the objective of improving the export capacity of their products. Post-harvest handling is another key element of the project as is Product Traceability, Good Agricultural Practices (GAP), Good Manufacturing Practices (GMP), and acquisition of international certification, especially Organic and Hazard Analysis Critical Control Point (HACCP) certificates. This was the main reason for including the Georgetown-based Eureka Laboratories in the project. Eureka also operates a viable outlet in Charity, Essequibo Coast. This medical laboratory is being made ready to conduct viable food and water analyses which are a necessary component for local growers and food manufacturers to qualify for international quality standards certification without which they would be unable to access Canadian and other external markets. The DFATD has already committed funds to assist the entrepreneurs in this expensive process while ensuring that they could successfully bring the level of their operations up to international standards.